Devil’s Claw is an herb native to Africa, particularly the Kalahari and Savannah desert regions of the South and Southeast regions of the country. Its botanical name, Harpagophytum, means “hook plant” in Greek, and it’s the tiny hooks all over its fruit that earned it its ominous name. However, don’t let its name fool you. Devil’s Claw actually shows great promise for supporting human health. Historically it has been valued for pain relief and treatment of fever, malaria and liver and kidney problems. Modern-day research supports what our ancestors already knew, which is that this unassuming herb has powerful pain-relieving properties. Devil’s Claw contains iridoid glycosides, which are strong anti-inflammatory substances. One iridoid, in particular, called harpagoside, has shown particular promise in research studies. “Harpogophytum procumbens [Devil’s Claw] is used for a wide variety of health conditions in the form of infusions, decoctions, tinctures, powders and extracts. In addition to the common local use for arthritis and pain, other ethnomedicinal uses include dyspepsia, fever, blood diseases, urinary tract infections, postpartum pain, sprains, sores, ulcers and boils. Osteoarthritis pain: People treated with Devil’s Claw (along with turmeric and bromelain) reported significant improvements in osteoarthritis pain. The researchers concluded that these natural anti-inflammatories may be a “valuable and safe alternative to NSAIDs in patients suffering from degenerative joint diseases.”[iv] Research shows Devil’s Claw is effective for treating arthritis of the spine, hip and knee. Although Devil’s Claw is most widely known for its anti-inflammatory, anti-rheumatic and pain-relieving properties, it has other unique attributes as well, including antioxidant properties. 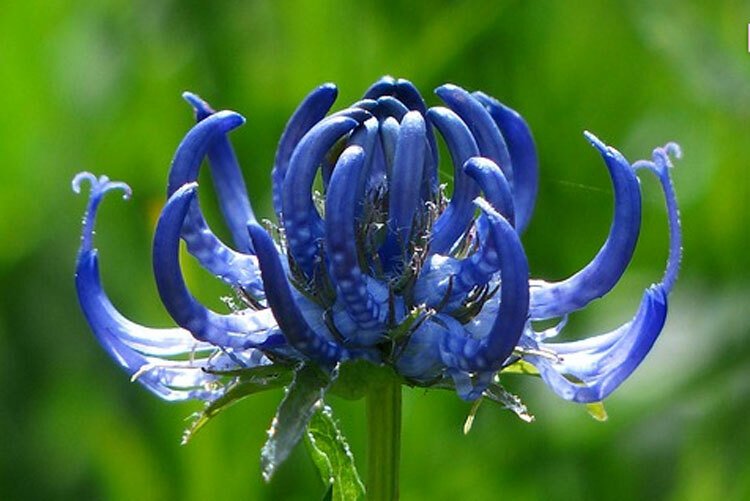 It’s known that excess free radicals contribute to tissue damage related to inflammation, so the fact that Devil’s Claw is also an antioxidant only adds to its impressive benefits. [ii] J Ethnopharmacol. 2012 Oct 11;143(3):755-71. [v] Molecules. 2014 Jan 16;19(1):1060-8. All of these Natural remedies or supports sound intriguing but how does one know if they can be tolerated by one’s digestive system? For example, I have acid reflux and was told to avoid tumeric – how does one know what to avoid- is it all trial and error?